Live in a State of Nature in Riverwood, a gated, resort & golf lifestyle community. Surround yourself in nature with a serene water view twin villa. Great room floor plan with 2 bedrooms, den, 2 bathroom, & 2 car garage. Great room features ceramic tile on the diagonal with sliding glass doors to the lanai with roll down hurricane Screens! Plantation Shutters. Kitchen features 36 inch upper cabinets, solid surface counters with good working space, appliances. Dining room overlooks pond. Master suite has a large walk in closet with view of pond! Master bathroom is an ensuite with walk in shower, soaking tub, dual sink vanity with drawers and cabinets. Inside laundry room with washer and dryer. New A/C in 2017. Back yard has space for an extended lanai or pool. Villa is located in the cul-de-sac, no traffic here! Plus, all Riverwood has to offer: 1300 acres, gated, golf, resort style community. COMING SOON: NEW RESORT STYLE & LAP POOL,HOT TUB, SEPERATE FITNESS CENTER, PICKLEBALL COURTS, NEW SMALL AND LARGE DOG PARKS! 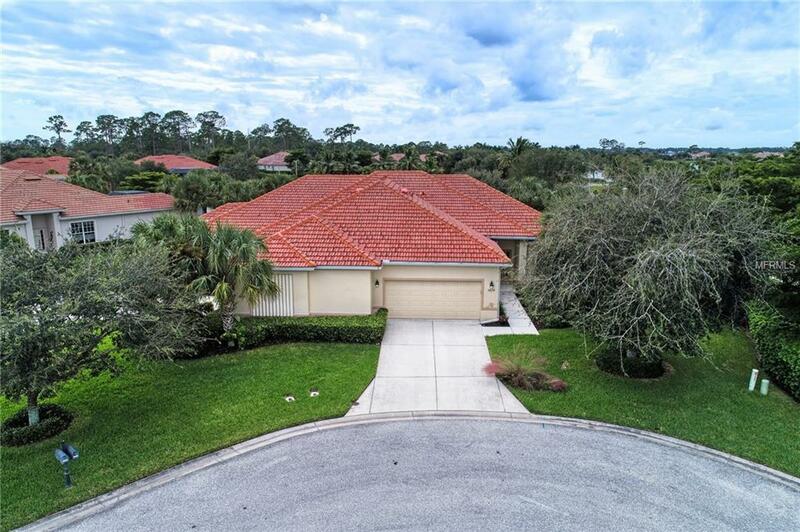 Enjoy lush tree lined streets, newly renovated activity center with a variety of social activities offered, 6 har tur tennis courts, croquet court. An Audubon Green Community Award Winner for its natural habitat for FL Wildlife. Optional amenities: Dog Park, Riverwood Golf Club, Par 72 Championship course & Beach Club on Manasota Key. Close to boating, cultural events, dining, shopping & beautiful beaches of SW FL. Found between Sarasota & Ft Myers on FL West Coast. Come home to Paradise! Amenities Additional Fees Riverwood Golf Club is Privately Owned See Www.Riverwoodgc.Com For More Details And Riverwood Beach Club is A Separate Membership With A Current Wait List. See Www.Riverwoodcdd.Org. Dog Park Use is Also A Separate Fee.